Share this product and receive a $4.04 sharing discount. 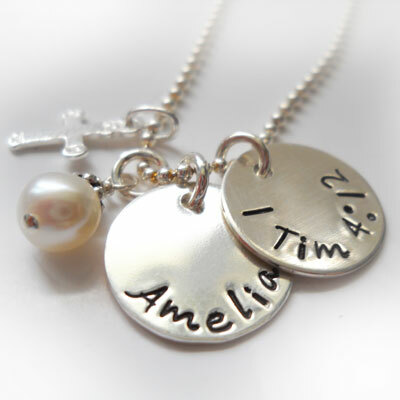 This necklace includes double Sterling Silver Discs - one for a name and the other is stamped with the Scripture Citation. A Mother of Pearl and a Sterling Silver Cross Charm has been added to the 16" Sterling Silver Ball Bead Chain. 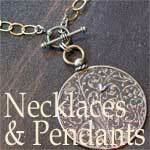 OR we can substitute an 18" Sterling Silver Ball Chain.